So you’ve skipped a day doing your Healing Code. Many times life just get’s busy or you are with others and can’t get away, or maybe you are just plain tired and don’t feel like it. Whatever the reason for missing doing your healing code that day, I’m here to tell you its OK. I know I’ve said in the past that consistency is so very important, and it is, but if you’ve missed a day, the last thing that is going to help is stressing about it. Worrying or stressing is exactly what The Healing Codes is trying to reduce. I have missed doing my codes before and I know I will miss doing them in the future. Sometimes I purposely take a day off and it’s still OK. This whole process is to help you create a more relaxing space. It helps reduce not only current stress, but stress that has been accumulated throughout your life. A great way to describe it is called the “Barrel Effect”. If the barrel gets to full it will start spilling over the top and creating a mess around it. Our bodies could be thought of in a similar way. As we go about living our lives we are continually adding stress. Most of the time we take breaks, have down time, play some and learn ways to unwind. This will reduce our load and keep our Barrels from spilling over. If we don’t learn to relax, or just don’t take the time to do so, our system starts to overfill with this stress. When that happens whatever is the weakest link, and trust me we all have them, is affected. Keep in mind stress comes in many packages, it can be physical as well as emotional. We come into contact everyday with new stronger viruses and other infections that our bodies are tasked with fighting. There are chemicals all around us that weren’t there 100 years ago, and our bodies are given this job to filter them as well. Then you add our fast paced lives and WOW, can you blame our poor bodies for dropping behind a bit? This doesn’t even bring up the impact of an astronomical stress in our life, like the loss of a loved one or a life altering diagnosis. Our job is to help our bodies and minds relieve this stress, so that our perfectly made immune system can do the job it was divinely created to do. If we keep our barrel load within a good balance everything should then work properly. Skipping a day doing your codes is definitely not the end of the world, so please don’t add that stress to your Barrel. The Healing Codes are a wonderful tool to help keep your Barrel from overflowing. It is cumulative so you aren’t starting over if you’ve missed a code. By doing it consistently over time, you will feel the difference as your body begins to relax. Give yourself the time to allow The Healing Codes to do it’s job. Relax while you are doing it and please above all enjoy this journey. It was brought to you for a reason and the experiences you will gain from it are meant for you alone. 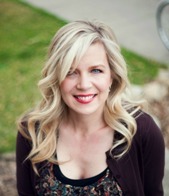 Melissa Zoske is a Certified Healing Codes Coach- Practitioner. Uh, yes. I had been skipping as I have been going through a life changing experience! Just started back and what a relaxing difference it makes! Thank you for the reminder! I’m so glad it has helped you Lisa! Getting back on track will make a world of difference, just be easy on yourself. You’ll get there. Thank you so much for this information Melissa, it was so timely for me! You’re welcome Angela! Everything seems to happen at the perfect time. I’m glad it was good for you!